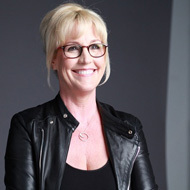 Renowned speaker and activist Erin Brockovich will deliver the keynote at “Together We Dare” the National Women’s Business Conference hosted by NAWBO being held October 15-17 in Minneapolis, Minnesota. Erin is widely known for her relentless efforts to expose injustice and lend her voice to those who do not have one. Brockovich will inspire several hundreds of women leaders to harness the power that one person holds through grit, determination and vision. Click here to read Erin’s story. Due to illness in the family, Elizabeth Gilbert is postponing her appearance at NAWBO’s National Women’s Business Conference this year. Gilbert deeply regrets missing this significant meeting of women business owners from across the country and looks forward to addressing the group at a future conference. Bank of America is proud to be presenting sponsor of the National Women’s Business Conference again this year.